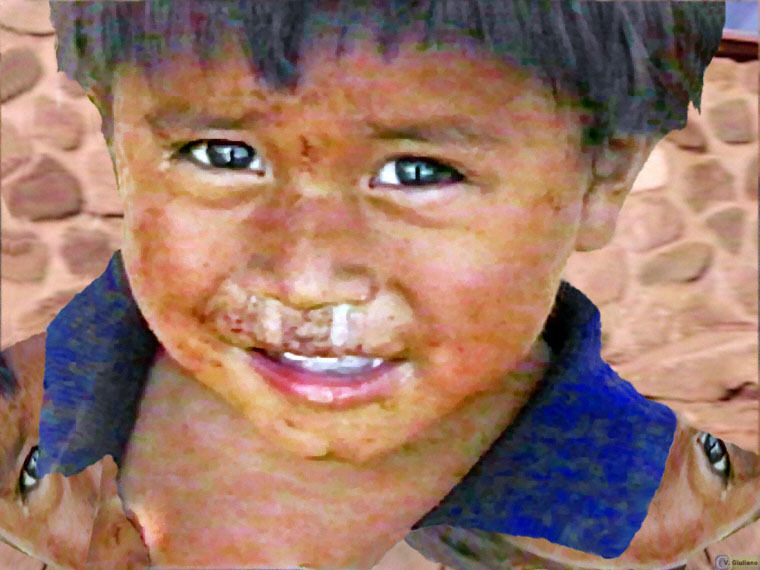 This is a beggar boy on a street in Panajachal Guatamala. It is from a video I shot some ten years ago. This boy, like many other street children, followed me and my wife asking for money. If he is still alive he must be approaching adulthood now. His eyes still haunt me and I wish him well. The image speaks for itself and the only significant enhancement was to incorporate his eyes into his shirt.